SINGAPORE: The number of foreigners working here fell by 32,000 last year, the biggest drop in 15 years, even as more locals were employed. The fall was more than 10 times the drop of 2,500 in 2016. This is the steepest decline in the pool of foreigners employed in Singapore since 2002, when it contracted by 43,000. 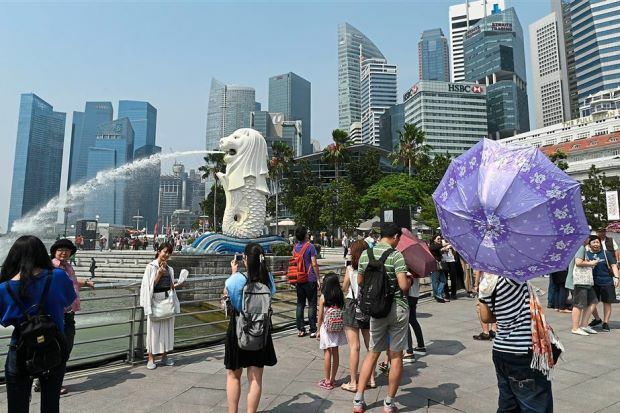 That year, Singapore was facing an economic slowdown, following the United States’ recession in the wake of the Sept 11 terrorist attacks in 2001.
at least six years – according to the latest data released by the Ministry of Manpower (MOM) on Thursday (March 15). The professional services and infocomm technology sectors were the main ones which employed fewer high-skilled foreigners. In tandem, these sectors saw a growth in local employment, noted the ministry. Overall, 21,300 more locals were in jobs last year than in the year before. As a result, Singaporeans and permanent residents made up a slightly bigger proportion of the workforce as of December last year, at 67.2 per cent, up from 66.4 per cent a year earlier. This brought the total number of people employed here, excluding maids, to 3,422,700 as of December. The shift followed a tightening of foreigner hiring rules in Singapore in recent years. The ministry said it expects local employment to continue to grow this year, as the economy is expected to expand between 1.5 per cent and 3.5 per cent. But the opportunities will likely be uneven across sectors, with more hiring in sectors such as manufacturing, infocomms and media, logistics and wholesale trade. Locals also fared better last year in terms of lower unemployment rates and layoffs, while incomes for Singaporeans also rose, both at the median and 20th percentile levels. Trends shown in the official full-year data released on Thursday largely confirmed the preliminary data released in January. Overall, the seasonally adjusted unemployment rate last December improved from the previous year, to 2.1 per cent, down from 2.2 per cent.